Are you tired of the way windows looks? Maybe you are just looking for new way to make windows look more personal. Well there are many program that help you change the looks of windows, unfortunately they are usually small programs that slow down your computer and full of bugs. The other way to change windows is to learn loads of complicated programming languages and make changes directly to the windows registry. Both of these two options have their ups and downs but there is a third way that has less downs and is easy to learn, in this tutorial I will show you how to make these changes using programs that do not require to be turned on for the effects to be visible and simple tricks that will give your computer a nice and customized look. It should be noted that this tutorial only covers the Win 7 operating system. XP is unfortunately very hard to customize unless you want loads of programs running in the background which will slow down your computer. Some of below mentioned things can be applied on Vista as well. Also, just in case, make a restore point of windows so you can always go back to the way things were if something goes wrong. First of all, let's start with the things you can do right away. 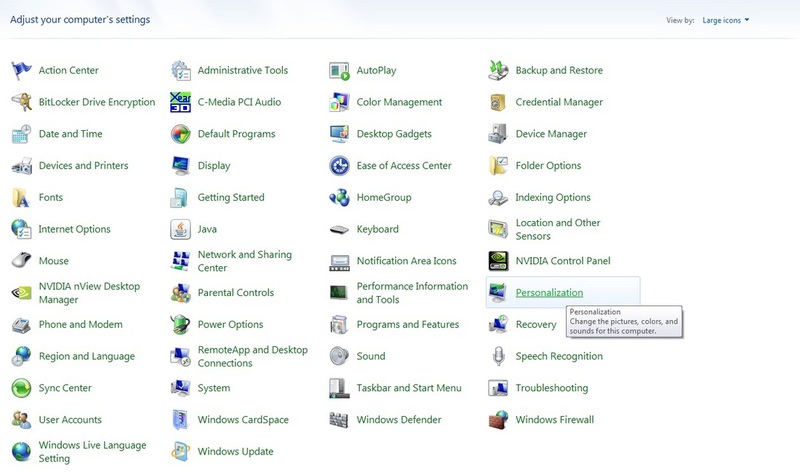 Windows offers many ways that you can customize the looks of your desktop. To access them, simply go to the control panel and select "Personalization". As shown on the picture below. Here you can change your wallpaper, window colors, sounds and screensaver. This is your starting point when changing the looks of your computer. Select a desktop background and window color. 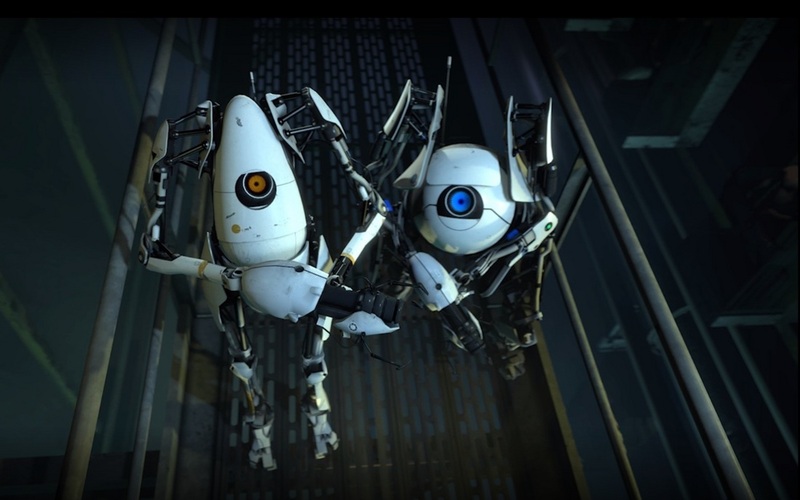 For anyone who follows my blog, they will have noticed I recently played the game Portal 2 and really liked it. This will be the new theme for my computer, naturally you can choose to make any theme you like using the methods I will show you in this tutorial. Now for the fun part, remember, everything mentioned above is possible to accomplish in windows. Now let's start customizing our computer for real. All of these programs are pretty self explanatory, all of them are easy to use and none of them run in the background slowing down your computer. In the picture below you can see the finished result. All the files needed to create my Portal theme can be downloaded here. If you wish to add a dock to your computer like on my desktop, visit rocketdock.com where you can download it for free. I hope this little tutorial was helpful, if you have any questions regarding the tutorial, feel free to send me an email.